During the Georgian period, Dublin developed some of its most iconic squares. The squares in that time were designed for the wealthy people of the city. The squares are now today the cultural and architectural heart of Dublin where Dubliners and tourists can escape the busy city for a while and stroll around the beautiful gardens. In this blog, we will explain why we at the Davenport hotel Dublin think that these iconic squares definitely worth a visit. Developer Luke Gardiner is responsible for the existence of many Georgian squares, Mountjoy Square is one of them. In 1790 the square was developed and known as Dublin’s most esteemed square. Ever since this time the square has been the home of many prominent people, such as writer James Joyce. Nowadays, the square is known as the only “real” Georgian square, since it’s the only square with four equal sides. Fitzwilliam Square was built in 1792 and named after its developer the Irish Viscount Richard Fitzwilliam. Back in the days, many of the parks were only for the private use of the wealthy residents living around the squares. Fitzwilliam Square is the only park that still has a private area. 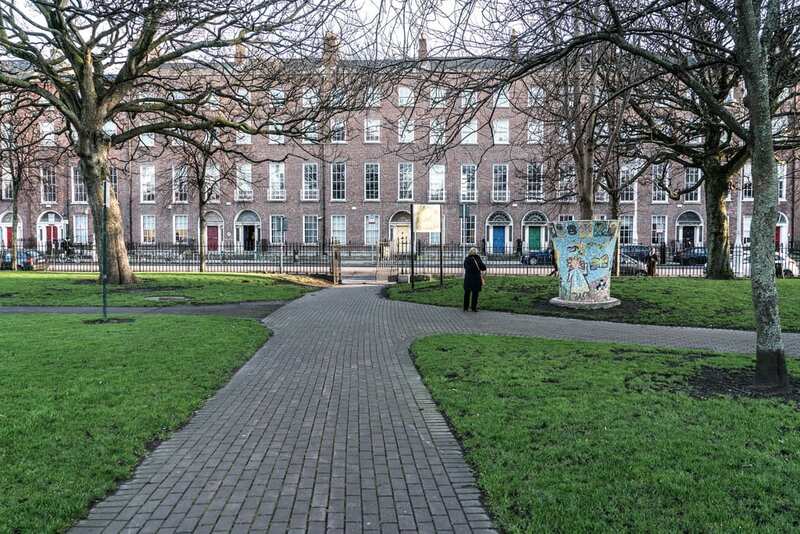 Fitzwilliam Square has become very popular by Dublin’s residents and they are willing to pay generously for it. St. Stephen’s Green is the largest Georgian Square of Dublin, designed by William Sheppard and opened in 1664. In 1880 is was re-opened by Lord Ardilaun for the citizens of Dublin. The park is surrounded by many well-known touristic attractions, so it’s the perfect spot to take a break after sightseeing. The oldest Georgian Square of the city is Parnell Square. The square offers lots of culture and history, because of its rich history. During Ireland’s fight for independence, it was a popular secret meeting and hiding spot for freedom fighters. Also, on the eve of the 1916 Easter Rising, it was an assembly point for the Irish fighters. Merrion Square is one of the best surviving parks of Dublin, because its architecture has remained the same for over 200 years. The park is the home of a statue from the writer and dramatist Oscar Wilde, who was a resident of the square. It’s surrounded by many museums and lots of other touristic attractions so the perfect spot for a small break. Did you know that the Davenport is located next to Merrion Square, right in the middle of Georgian Dublin? This makes the hotel very close to lots of touristic attractions, like for example Trinity College and Grafton Street. Make sure to check out our Facebook to stay updated of everything going on in the hotel.